The story starts off with the intro of few present-day bar owners who are planning to make a film about an old man’s (Kammaran Nambiar) life for promoting a not-so-popular political party (ILP). All they need is a ‘mass-electrifying History’ for ‘the party’ to attract people. The director (Bobby Simha) meets Kammaran to hear his real story. What follows is one of the best made ‘periodic thrillers’ episode. That is the first half. Kammaran is an anti hero, a vicious criminal and no way related to the beginning and growth of ILP. The bar owners, the producers, want to give a ‘mass’ appeal to Kammaran. Now the second half, the twisted story of Kammaran. Kammara Sambhavam is all about lies, betrayal, sacrifice, and politricks. Political satire in the form of action figures is always funny. This one is not an exception. The first half – Kammaran’s real story is the best part of the movie. You see a crooked, cunning Kammaran Nambiar. You’ll find yourself slowly rooting back and forth for the good guys and for the bad guys. 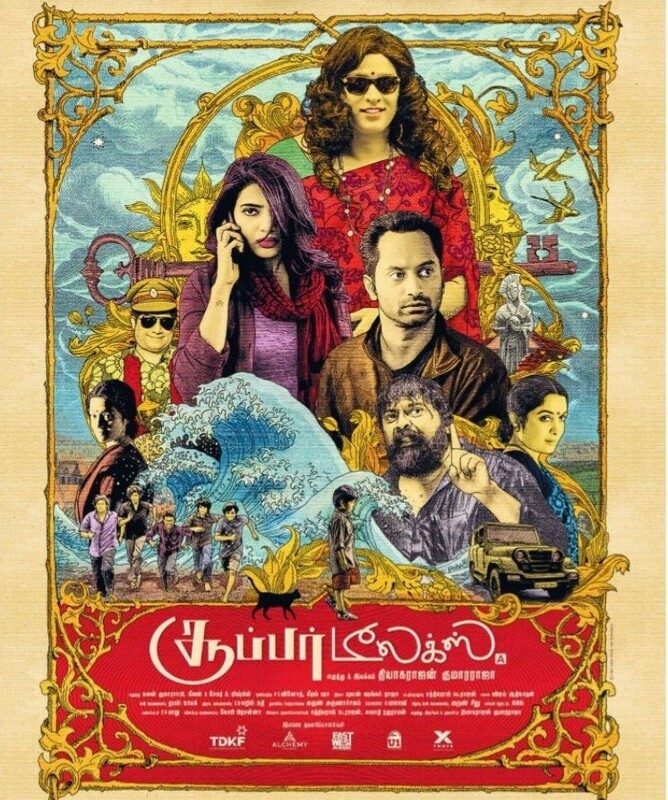 The power of the filmmaker, Rathish Ambat, is that you will get confused whether he is telling a story based on real life characters or just a fiction written by Murali Gopi. I’m still not clear about it. 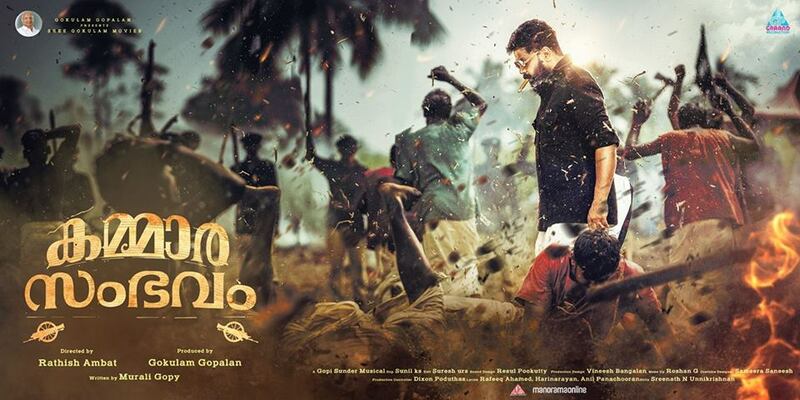 Kammara Sambhavam is intense, funny, exciting, suspenseful, sharp and witty. The very point of Rathish Ambat, showing a completely opposite of a story and genre in the same film is something very impressive. It’s a tough film he carved out. So is with Murali Gopi’s script. Odenan Nambiar (Siddharth)’s character change in the first and second parts is incredibly justified with the presence of his mother character. The script is so well layered. Gopi Sundar’s soundtrack’s really great and suitable. The theme song was the perfect choice for the film and they played it at just the right times. It is entertaining; foot tapping and it will stick with us. Dileep looked different, let it be the performance or the look. I was like I’ve never seen him before; it was a little weird at first. He does a fantastic job. Dileep gives what is quite possibly the best performance of his career. The acting is outstanding. Siddharth in a rare negative portrayal, delivers a thumping performance in the two dimensional space. I’ve to say about his Malayalam dubbing. Siddharth almost steals the show with the best lines. Namitha Pramod looks so beautiful and is very convincing. One real complaint, I had, with the film is the present day-episode’s comedy which took away the seriousness of the ‘Kammaran first episode’. I got confused of the mood shifts. May be I was hooked to Kammaran Nambiar and I wanted a full length version of ‘first episode’. May be.